Curtis Mill Park in Newark, DE is sort of a recycled piece of land. 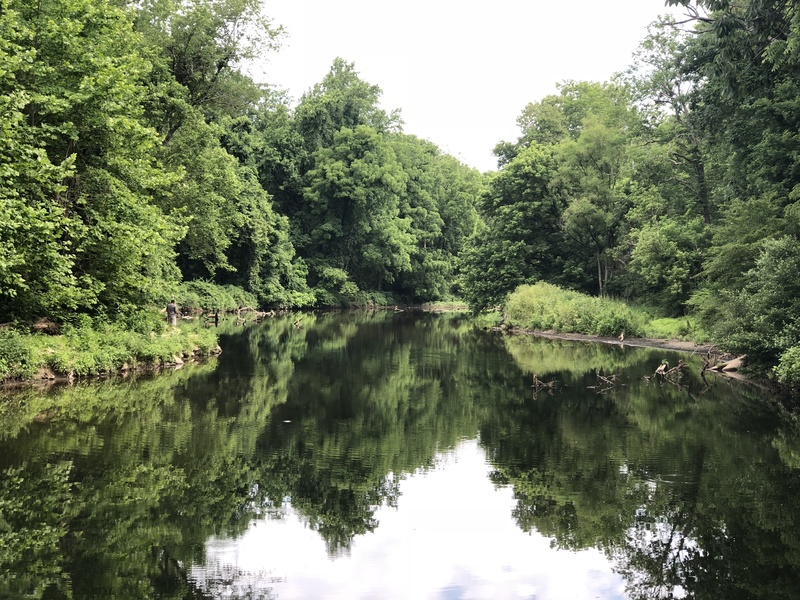 The old smoke stack and mill creek are reminders of what used to be there but now it’s been transformed in to a great green space for the public to enjoy with a trail, info plaques, ponds on site that can be fished in and beautiful landscaping. When we arrived I was a bit unclear as the what direction to go in for the trail. We started out walking out behind the ponds which gave us the chance to observe a deer hanging out and some beautiful butterflies sipping wildflower nectar. The actual trail starts directly across from the parking lot and is more of a road than a trail so I felt like I was in the wrong spot. 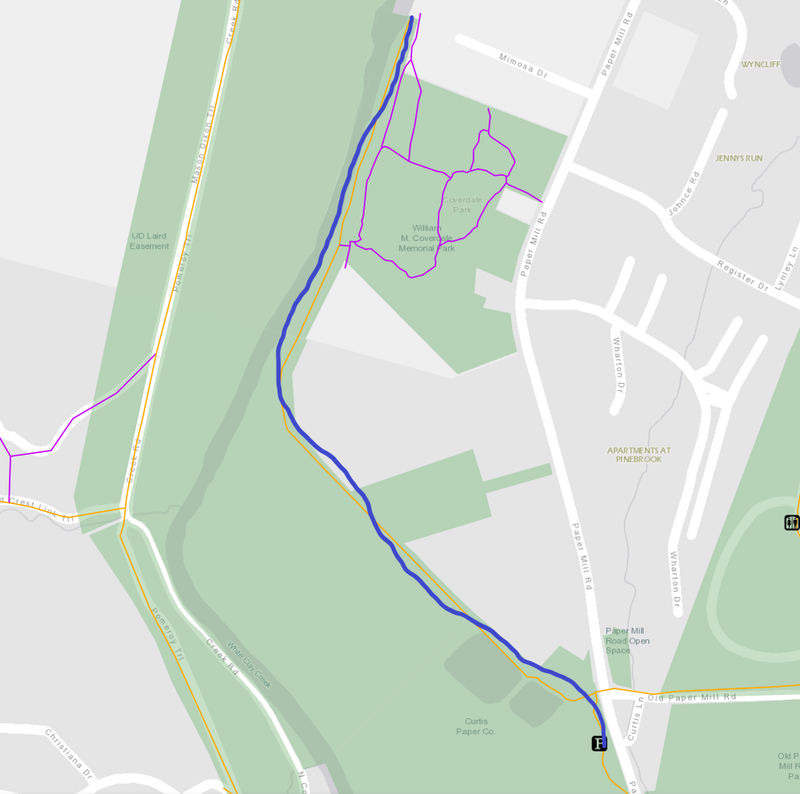 Check out the map from Play Outside Delaware to see the route we took in blue. Watch your step in the beginning because it’s clear the geese like to hang out on the path and have left lots of landmines behind to dodge. Turn it in to a fun game for the kiddos, kind of like hopscotch right?? Because it’s wide and flat, it’s a super stroller friendly out and back walk. Although it isn’t a loop, being shady and having a creek on both sides the whole way down sort of makes up for it. The mill creek is shallow and clear so we enjoyed spotting little fish and the underwater vegetation that moved with the flow of the water. 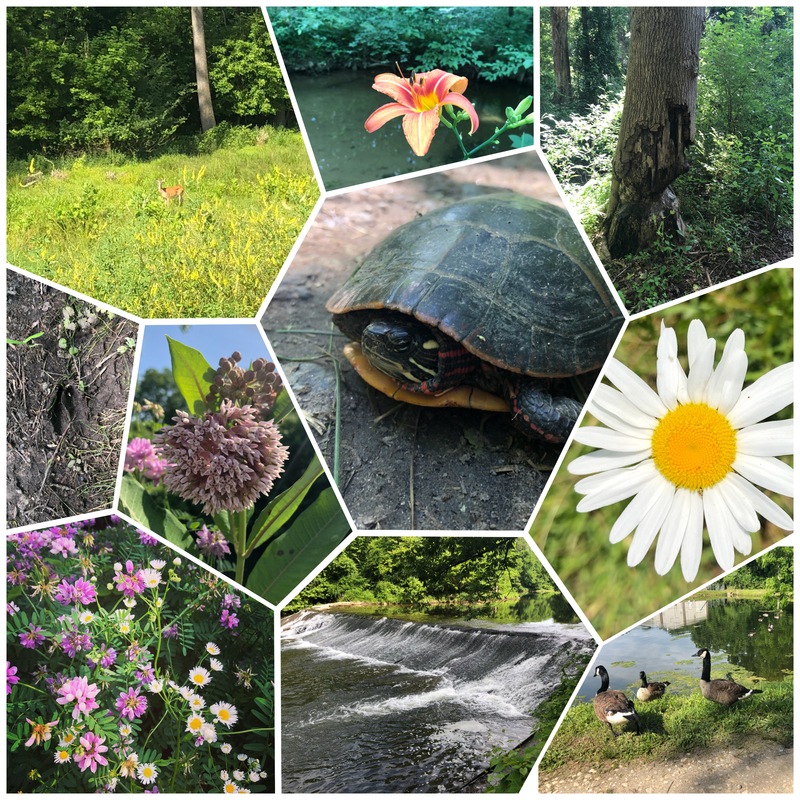 We saw so many super cool things along this trail including beautiful flowers, trees chewed by beavers, deer tracks and a turtle. 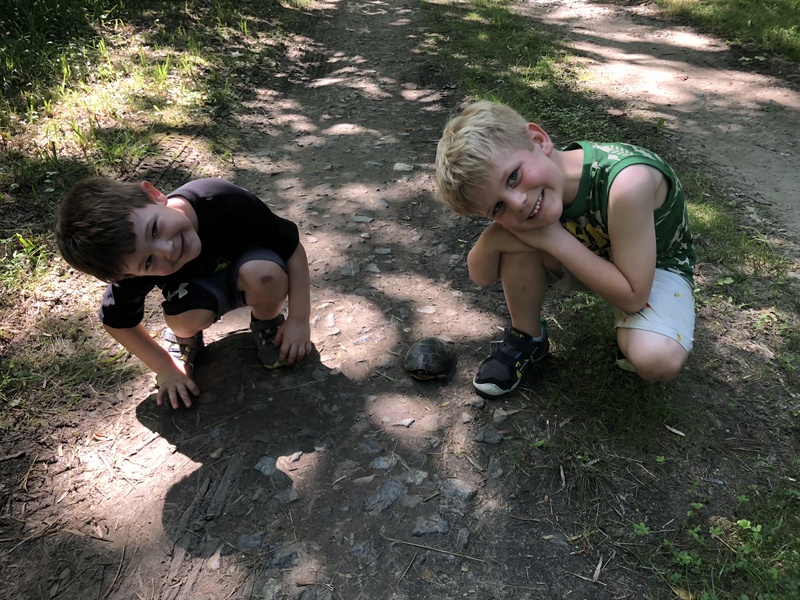 It was hot and sticky on this adventure and the boys were whiny, so finding lots of treasures along the way definitely helped motivate them to keep going. We loved the “surprise” waterfall at the end of the trail the best. We could hear the water as we approached but I wasn’t expecting that at all. There were two guys in waders fishing in the creek at the bottom of the fall so we sat down and watched them for awhile and ate a snack. My boys LOVE fishing and always give any fishermen we come acorss the third degree. These two were too far out to talk to but we did get to see them reel a trout in and the boys always have fun tossing rocks in to the water. All in all, it was probably about an hour and a half long easy walk. It would also be a great portrait location if you are thinking of taking some family pictures. I definitely recommend checking this one out! Check out those smiles when they met a new friend!